Call for Applications is closed! THEME 1 "Performance Improvement in Public Service Delivery"
The European Institute of Public Administration (EIPA) - mandated by its Board of Governors' decision of 1 July 2008, and with the institutional and financial support of 15 European countries and the European Commission - invites applications to the second European Public Sector Award - EPSA 2009. 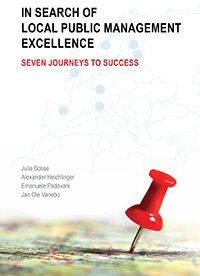 The EPSA 2009 will be awarded on the occasion of a high-level symposium on leading-edge public administration solutions, which will be held on 5 and 6 November 2009 in Maastricht (NL), under the auspices of the Swedish Presidency. The conference thus presents a unique opportunity for European administrations with innovative performances and achievements to reach an extensive audience and to be recognised as a leading practice at the European level. Less willingness to increase resources for the public sector, despite higher demands and expectations of citizens for better services, focus on efficiency and effectiveness. This has lead to a number of reforms at all levels of public administration: state, regional and local level. It has also lead to the rethinking of distribution of tasks in different sectors of public administration and, thus, the use of agencies, collective bodies, new types of service providers etc. (outcome - focus). European countries are meeting these challenges in different ways and the purpose of this topic is to demonstrate the variety of solutions that are being found to meet these challenges. The question of Why Public Administrations Reform? can generally be answered in three ways. Firstly, governments need to keep up with society. The purpose of reform in this respect is to make governments more responsive to society's needs and demands. This comes as a result of growing and changing demands (e.g. efficiency/effectiveness) from citizens/customers towards public administration and public service deliveries. 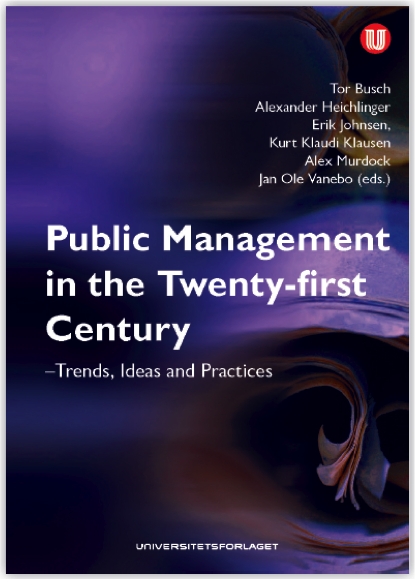 Public administration is being reformed in order to provide better, faster and sometimes more services. However, quality, quantity and speed are not the only new competences that society asks of its government. Since the pace of societal change is accelerating, governments should likewise be able to respond to changing demands with new solutions. Secondly, governments reform with the purpose of (re-)establishing trust. Governments need to provide more choice, democracy and transparency. Therefore, the public service needs to work together with the political sphere. Equally important is a strengthened communication and connection with the citizen. Finally, governments reform due to new pressures. Outside forces place competitive pressure on governments to serve the public. In addition, greater economic interdependence, the opening up of societies, and the growing importance of international structures and agreements make outside pressures more complex and multi-dimensional. Hence, the environment in which and for which the government operates, is fostering new demands. Reform is thus the process of preparing or adapting government to its new role in a changing society. This topic is looking for showcase projects based on how public administrations are meeting this new role in society by displaying performance improvement in service delivery. Impact assessment of service delivery. Confirmation that the application has been submitted (i.e. notification mail and registration number) before deadline (hrs). It is encouraged to submit projects showing consideration of gender mainstreaming, technology (ICT-enabled solutions) and environmental sustainability aspects. The submitted applications will first be checked for eligibility. If the criteria set above have been met, a registration number will be allocated. The project will then be reviewed and assessed by an internationally acknowledged, independent and impartial pool of experts. The evaluation process also includes on-site visits to a small number of short-listed projects per theme. Learning capacity and transferability: with lessons of potential value to other entities; the project provides the potential for successful replication by other governments; it stimulates improvement in its application and provides mutual learning perspectives. Balance between economy and quality.